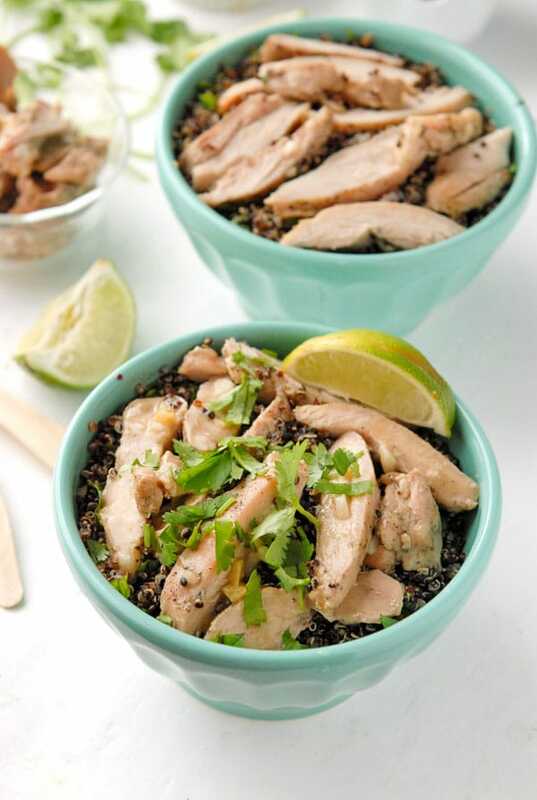 This Thai Chicken Thigh Basil Quinoa Bowl recipe is packed with protein and Thai-inspired flavors. Basil, cilantro, lime, and mint make it a mouthwatering all-in-one meal option you’ll love. 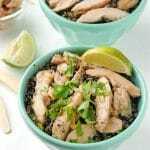 Whenever I am trying to change up my diet, whether it be to improve the quality of what I’m eating or for weight loss, I find a great place to start is swapping foods or ingredients that could be better for me, like the Thai Chicken Thigh Basil Quinoa Bowl. Having a dramatic change to my eating regimen often backfires; it’s just too digital a shift. When I look at what I’m tending to eat daily it often is quick grabs on the go or lazy high calorie choices that with some effort could be much better for me. In my past I have been known to go for no fat foods or artificially produced ‘food look alikes’ when trying to lose weight. You know those foods; fake foods that are close enough to pass for their natural food counterpart, but boasting no calories or fat. It struck me at one point that though I could lose weight that way I would rather be eating more quality options just less of them. At this stage the quality of my food and ingredients are even more important. Being gluten-free naturally places me in a position of considering every ingredient and realizing I feel better when they are higher quality. I recently had an opportunity to work with a new-to-me product MELT™Organic. It provides an option to butter and is made up of good fats like Virgin Coconut and Flax Seed oils, and all its ingredients are certified organic. 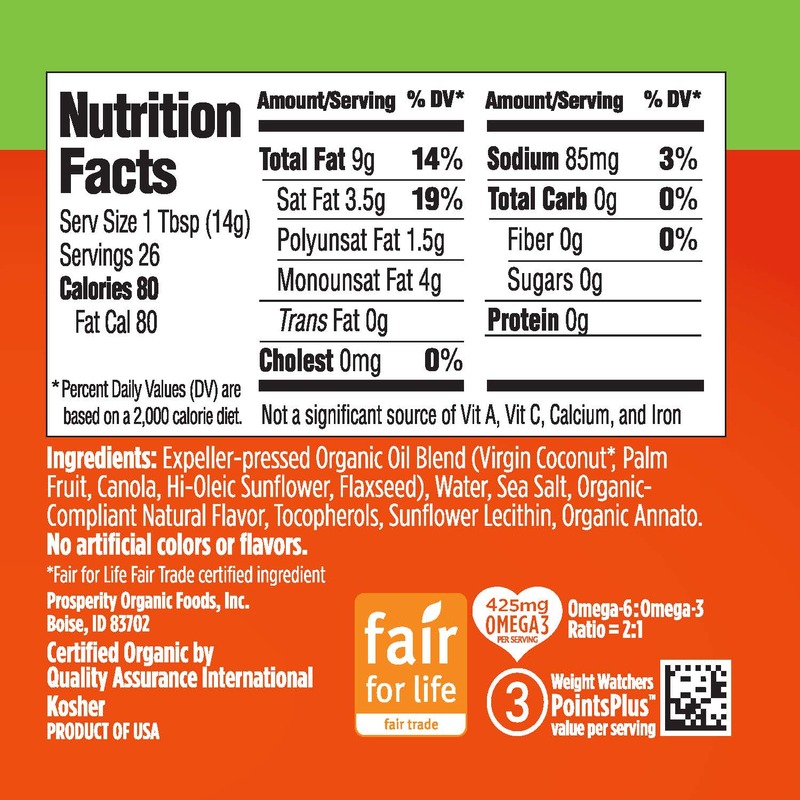 MELT Organic is verified to be non-GMO, lactose-free, gluten-free, soy-free, kosher, with no artificial colors or flavors, trans fat free and high in Omega 3’s. It is made from the perfect blend of the healthiest fruit-based and plant-based organic oils: virgin coconut, flaxseed, hi-oleic sunflower, palm fruit, and canola. MELT Organic uses only Fair Trade Fair For Life certified organic virgin coconut oil and Rainforest Alliance certified organic palm fruit oil. Lastly it was developed by a woman, Cygnia Rapp, who was on a very restrictive diet with limited fats and oils, which lead to the loss of her interest in cooking and food. 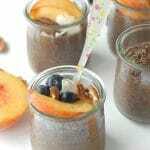 She persevered to develop an option to fit with her needs and that was MELT Organic spread. I should also note it is available in three flavors: Rich and Creamy (a direct option to use instead of regular butter), Honey and newly released Chocolate. This list of attributes reads like a love letter to my food sensibilities. MELT Organic touts the ability to be eaten in the same ways as butter; in baking, sautéing, and as a spread. For me I needed to put it to the test because if it doesn’t taste great, it’s not something the Boulder Locavore household will adopt. I have a favorite, easy recipe for chicken I’ve shared in a few forms. It basically requires a light salt and peppering of chicken breasts, then cooking them for a few minutes on each side in butter and letting them sit, covered, to complete cooking. With no other seasonings it would be a true test of the MELT Organic option! I’m loving ‘bowls’ right now. 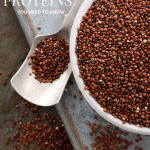 A small serving of protein-packed quinoa topped with tasty protein and vegetables are a great way to get a nice balanced meal. 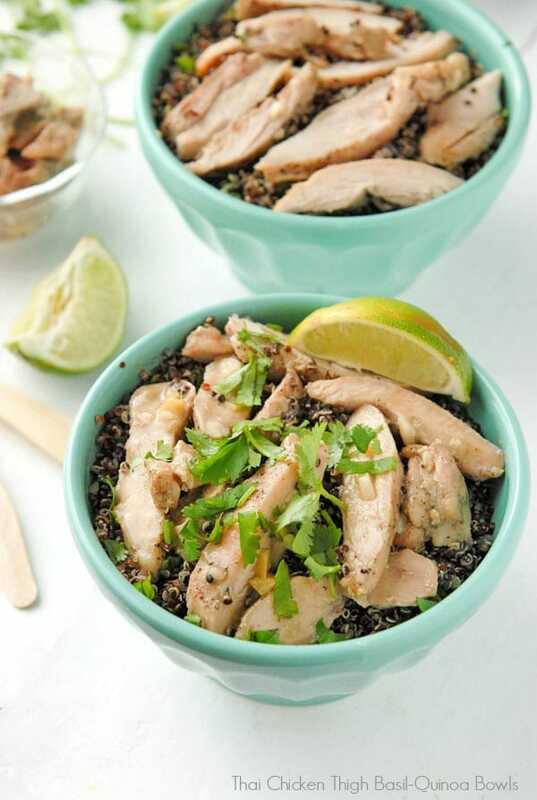 For this quinoa bowl recipe I decided to change up the chicken breasts and use chicken thighs which have more flavor, and take things in a Thai direction! A fresh, herby quinoa is the foundation for the simply prepared chicken thighs which are drizzled with a Thai coconut-ginger sauce. The MELT Organic Rich and Creamy performed beautifully (and has a wonderful coconut aroma when cooking). The chicken thighs came out perfectly with no notable hint I had not used actual butter. I of course loved knowing I was getting fewer calories, less fat overall and better quality fat. MELT Organic really delivers the goods! 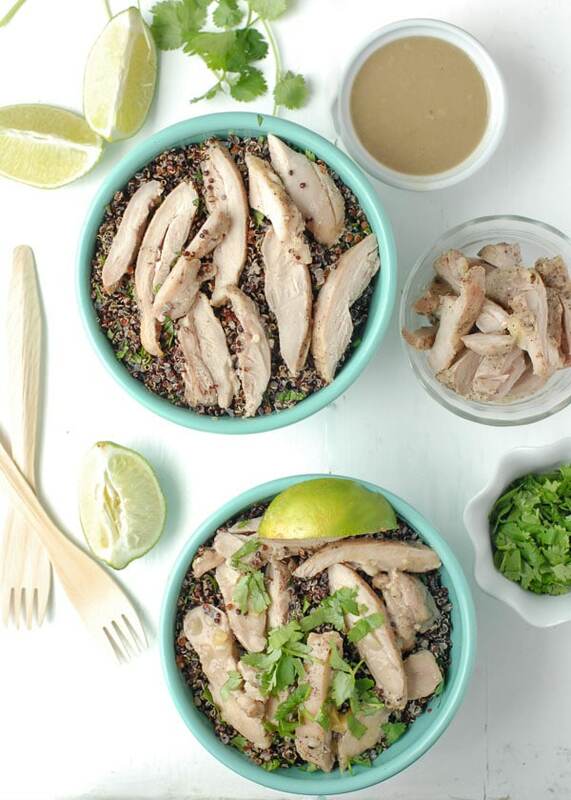 If you’ve tried this Thai Chicken Thigh Basil Quinoa Bowl or any other recipe on BoulderLocavore.com please don’t forget to rate the recipe and let me know where you found it in the comments below, I love hearing from you! You can also FOLLOW ME FACEBOOK, TWITTER, INSTAGRAM and PINTEREST to see more delicious food and what I’m up to! 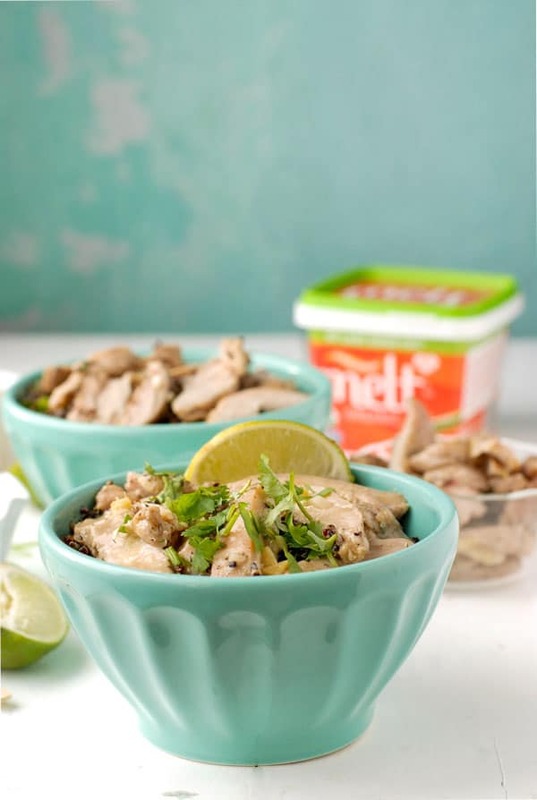 These Thai Chicken Thigh Basil Quinoa Bowls offer a tasty combination of superfood protein Quinoa, flavored with Thai herbs and lime topped with quick to prepare, juicy sliced chicken thighs all topped with a drizzle of coconut ginger sauce. Preheat the oven to 200 degrees (will be used to keep the chicken warm). Lightly salt and pepper both sides of each chicken thigh. Melt the MELT Organic in a large skillet over medium heat. Add the chicken thighs and cook at medium heat for 2 ½ minutes uncovered. Flip the thighs and cook for an additional 3 minutes uncovered. Turn off heat, cover the skillet and allow it to sit for 8 minutes. NOTE: the Quinoa can be prepared while the chicken completes cooking. After the chicken is done, wrap it in a piece of foil and place it in the preheated oven to stay warm while the sauce is prepared. 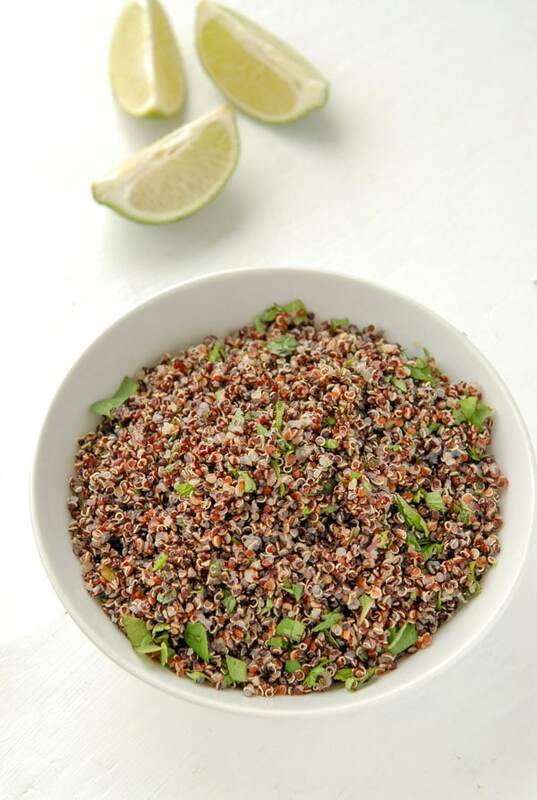 Place the prepared quinoa in a large mixing bowl. Add the diced basil, cilantro, mint and lime juice. Toss to fully combine. Once the chicken is fully cooked, drain the pan drippings from the skillet reserving 1 tablespoon. Warm the skillet over medium heat and add the garlic and ginger. Sauté for 2-3 minutes until the mixture becomes fragrant. Add the fish sauce, brown sugar, lemongrass powder and lite coconut milk. Use a heatproof spatula to scrape any browned bits from cooking the chicken incorporating them into the sauce. Remove ½ cup of the sauce. Add the cornstarch and whisk to incorporate without any lumps. Pour back into the skilled and stir to mix together with the rest of the sauce. Allow mixture to come to a low boil, reduce heat to a simmer and cook for 10 minutes. Turn off the heat and allow the sauce to cool to room temperature and thicken slightly. 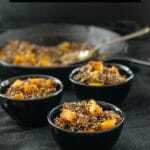 Place a portion of Basil-Quinoa in a bowl, layer with chicken, a drizzle of dressing, and sprinkle with chopped cilantro leaves and serve with a few lime wedges for a squeeze on top. Such a healthy and delicious meal option!